I finally had my hands on a 920XT and got the chance to have the 910 and 920 watches together to compare them, as expected, technically the watches are a bit different (you can read my blogpost about the 920XT). 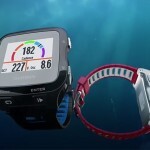 But in short the 920XT is the evolved version of the 910XT with more support for swimming drills, more running metrics and brought up to our current connected world. With live connectivity and it’s own WiFi & Bluetooth to connect to the internet/your phone or computer it makes synchronising a whole lot easier. 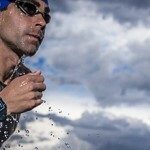 Gathering information from sensors is the same, Garmin sticks to its ANT+ technology. 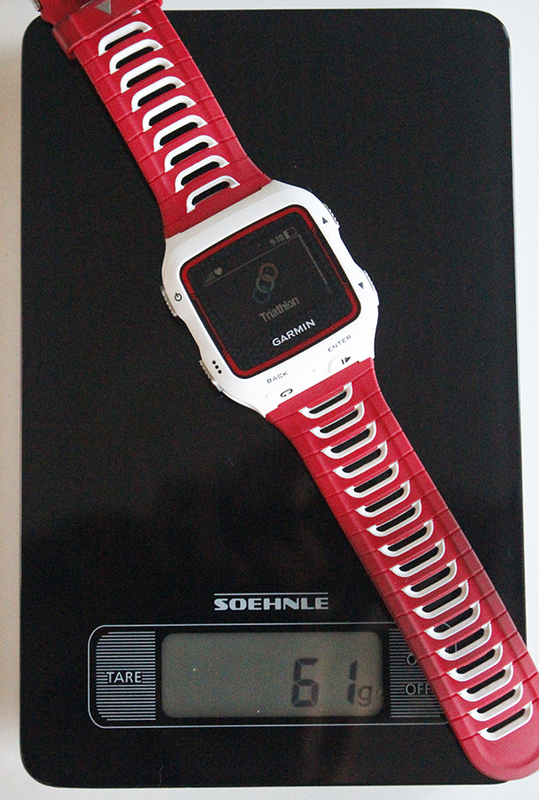 Especially for triathlon the 910XT is (well, with the new 920 I should say, was..), the ultimate watch to use. Garmin took what they learned and really improved on where the 910 was lacking. Swimming wise, the 920 has better support for drills and you can do a bit of rest planning with the 920 telling you when you have to push off again. Where the 910 basically can only record your swim metrics. Cycling wise not a lot has changed, there were some misconceptions around the 920xt supporting Bluetooth for sensors, but it only uses Bluetooth so for synchronisation, not for cadence sensors, heart rate straps, power meters, etc.. All those are still ANT+. Tip: if you want to use both technologies have a look at the Wahoo Blue SC cadence sensor. As for running, with the 920XT combined with it’s new HRM strap, running metrics has greatly improved, with support for vertical oscillation, ground contact time, cadence and an integrated metronome. And if you want it can even calculate your Vo2 Max. So for your cadence you can buy a foot pod to get that for the 910, but if you think about it, a foot pod will cost you roughly $67. Add that to the price of the 910 and you spend as much as buying the 920 straight away. Garmin has given the software a bit of an overhaul too, if you’re accustomed to the menu system of the 310XT and 910XT you will have a bit of a surprise, but it’s really intuitive. By default the watch is in watch mode. No GPS and in lock-mode. To start an exercise you unlock and pick what you are doing by using the up and down buttons. It made complete sense to me, the quick change between workouts is really nice and makes sense. The 920XT is lighter in weight, with it’s 61 grams than the 910XT which weighs 72 grams. The Forerunner 920xt weights 61grams. While 10 grams may not sound like a lot, you can really feel the difference. Even more so, the 920XT doesn’t feel as bulky. This is because it’s slimmer and the wrist strap is more pliable where it’s attached to the watch, the 910XT has a rather stiff block (seen on the left hand side of the 910 on the picture below). From the side you can see the 920XT went to diet camp. As you can see on my tiny wrists the 920 sits a bit better because of the more flexible attachment of the strap. The Forerunner 920XT on my small wrist. The buttons on the 920 feel a bit flimsy to be honest and need a proper push to use them, the 910 also needed this, but by design this is a more expected behavior. But with the 920 you will definitely feel that little click when you push it’s buttons. What I also noticed on this 1 month old model is that the strap seemed darkened or faded, this seems to be rub-off from clothing or so, but the redness is not as bright and shiny. Maybe on the blue/black version it’s less visible. The 920XT has a longer battery life than it’s predecessor, but this is also because it’s smart in how it works. GPS is enabled and disabled automatically when you select a sport. Indoor cycling -> no GPS. It makes sense. THe 910 Supports up to 20hrs where the 920XT, in standard mode, will give you 24. If you set it to UltraTrac it will records with less intervals. If you leave the 920 layin around it will jump to watch mode and lock itself, in this mode the battery should last up to four months. 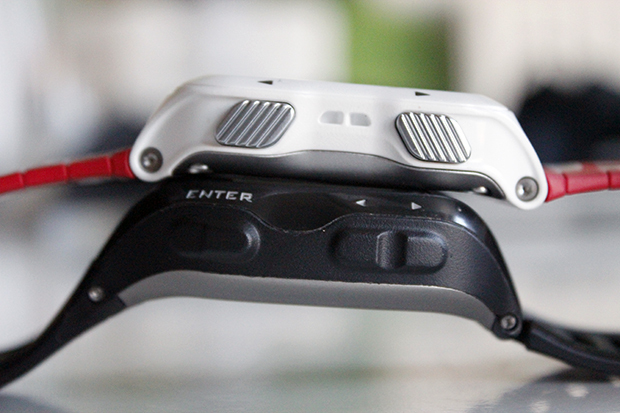 Both watches have an accessory where you can mount the watch itself on your bike. Basically its a a set of three brackets which you. 1) for the watch. 2) for the strap and 3) for the bike. It comes with the tiny screwdrivers you need to do the work and it’s quite an easy job. The watch will look a bit bulkier after you’ve made the change as it now sits on a little bracket on your wrist. The Quick Release kit is not the same, as the watch brackets are a tiny bit different. With the 920XT now becoming more and more available it’s only a matter of time for the 910XT to drop in price. If you like my articles, please use one of the links below or from the sidebar when you decide to but one. I get a small fee for it! Also, the prices are of local suppliers in local currency where available :-). 310XT Note: My advice if you are still thinking about the 310XT is to absolutely get it with the HRM. The bundle appears to be cheaper even.Garmin also introduced a new HRM strap which comes in the 920XT’s bundle package, this HRM strap supports the cadence, vertical oscillation and ground contact time. This sensor really helps the 920XT to shine. Using your old HRM strap would be a bit a waste of money in my opinion. If you can spare the money absolutely go for the 920XT, but if that little extra is too much for you, don’t take it without the HRM. 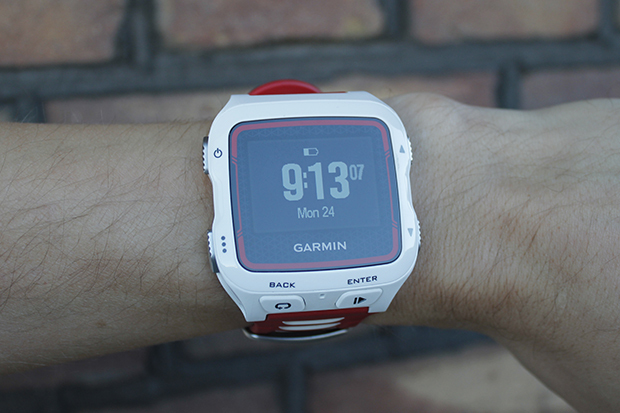 The new HRM is available separately, but for around $90, so you’ll end up spending more. Interestingly the 910’s HRM strap is also available separately for $42 and so the total is $8 lower than buying a 910 watch+HRM bundle. the charger on the 910xt….. can i use it with the 920xt ? No, the charger cables are completely different and can not be exchanged. All the latest Garmins (FR225, Edge 25, Etc) seem to have a device specific charger. There are currently three options. 1) just the watch. 2) the watch + HRM 3) the Tri Bundle. 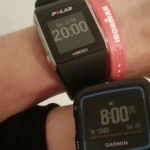 The tri bundle comes with two heart rate straps (click here to see my post about it). Personally I think it’s a bit over the top, as just a tri HR-strap would suffice if you ask me. If this is your first watch, grab the 920+HRM. The Run-HR-Monitor allows for more running dynamics information and is a great way to improve your running. P.S. If you buy it and use the links above I get a small fee, it helps me maintain the site, thanks! Hı I missed last deal of garmin forerunner 920xt at 14-23 Nov. Do you know new discount will be? Hey, that depends on where you live. I give localised prices! 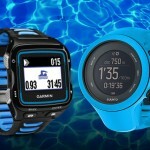 will the swim HRM for the 920XT also work with the 910xt? I love my 910xt and have loved it for some years now. I will definitely be looking for a replacement soon, but just wanted to know if I can delay having to fork out that much money again. The HR monitor will work, it’s just ANT+, but the 910 doesn’t support Swim HR, so it will probably function just like your old HR monitor. I haven’t tested it though, but I would be VERY amazed if it didn’t. which is the best 310 910 or 920 for long distance horse riding my last model years ago, was 205. Battery life wise, the 920 can extend it’s battery life to about 24 hours. Do you think the 910 is getting too old? I am upgrading my tri gear, and found a great deal on one, but worry that it may become outdated sooner rather than later. A lot of people still use the 910 and it does a great job (I use it too). Just keep in mind that the support for it will eventually stop. The firmware hasn’t been updated since November 11, 2014. The 920 can actually double as daily watch has smart notifications and a way, way, way better battery life. Especially if the offer you have is for a second hand device. How about the difference between hardware precision ? Hey great article! Thank you! Can use my current HRM of my 910XT…with the 920XT? Yep! Garmin still works with ANT+ so all your sensors are interchangeable! The quick release set is not transferable, but the sensors (speed, cadence, HR, etc) are interchangeable between almost any Garmin device. do you have to wear the chest strap monitor to get complete use?